Removes organic pollutants, stains, and entrained toxic gases in marine and freshwater aquariums or ponds. Contains the finest pelletized activated bituminous coal based carbon. Pore size is in the 20 to 2,000 Angstrom range, ideally suited for removal of large organic molecules. Super activated with very high iodine and molasses numbers. Less than .2% ash making it suitable for sensitive species such as discus. Will not leach phosphates or promote undesirable algae growth, suited to sensitive reef systems! Engineered for water flow, will not clog easily like small granular or pelleted carbons. Out performs any carbon especially coconut shell! 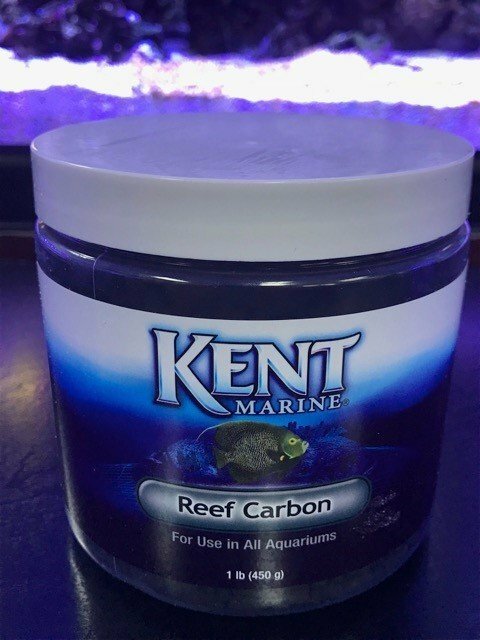 Directions: Reef Carbon is dusty. This is a necessary characteristic of the finest carbons and is a small price to pay for a carbon that is so active, low in phosphates, and ash, so rinse well in cold running tap water. This will take some effort. IN THE AQUARIUM: Place in a polyester bag or filter chamber and position for maximum water flow through the carbon. IMPORTANT: You can use as any other carbon, but best results will be obtained by using any carbon for only 3 days per month or so. (This is because any carbon will continue to remove trace elements long after it is totally plugged with organics.) Use only enough to remove the color from the water.